George Robert is a creative talent based in NYC. Carnival Cruise Line releases images from it’s “Choose Fun” ad campaign. 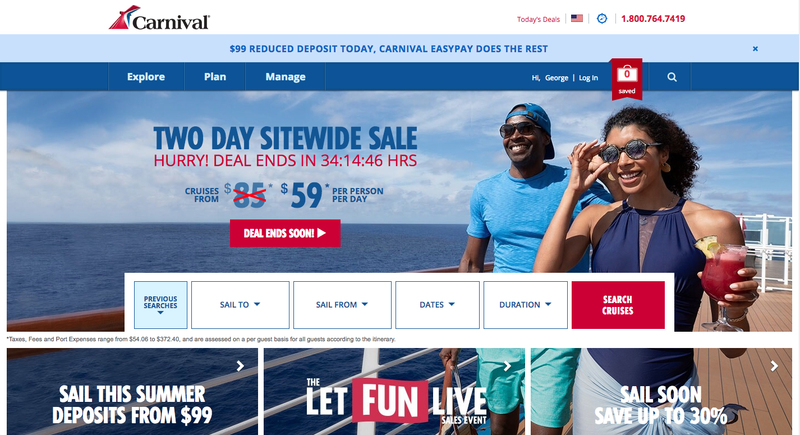 Screenshots are from Carnival’s website. Images shot by photographer Andrew Hetherington. Advertising Agency: Anomaly. Production by Whitelist. Casting Director: Beth Melsky. Talent Agent: Ramona’s Talent. From L to R: Marilyn, Liz Von Hoene, and George Robert on set at Cobalt Studios in Hoboken, NJ. BTS – George Robert and Sasha Hopkins on set a the Barclays Center in Brooklyn, NY. BTS – George Robert and Sasha Hopkins on set at the Barclays Center in Brooklyn, NY. Taylor Rae Almonte, Sasha Hopkins and George Robert on set at the Barclays Center in Brooklyn, NY.